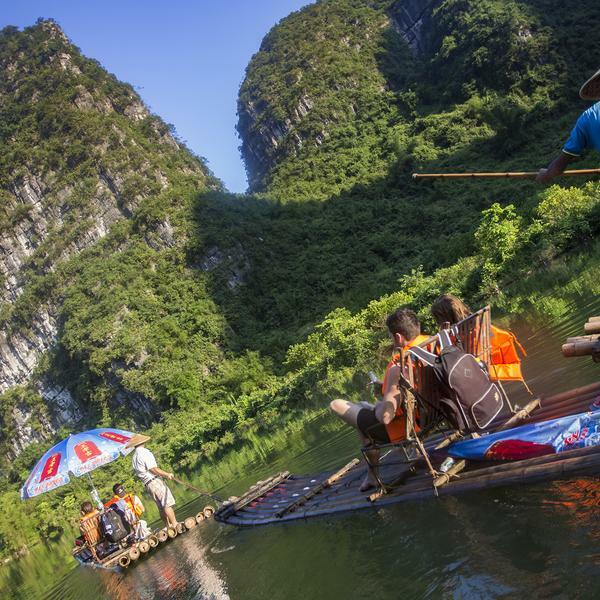 Soak in the vibrant pulse of China with others that share your appetite for adventure. 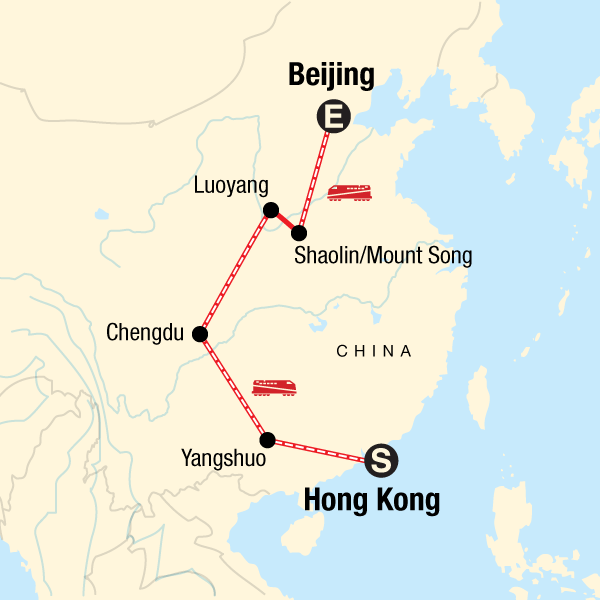 Enjoy 13 days of access to China's major sights and out-of-the-way gems with the freedom to choose those that interest you. Get familiar with bustling Beijing, have close encounters with pandas in Chengdu, say hello to Leshan’s giant Buddha, and learn about kung fu at the Shaolin Temple. An experience so rich and incredible, you may not want to come back home. Feeling hungry? Pre-book the Evening Foodie tour by Tuk-Tuk on the checkout page to include this optional activity on your tour or ask your GCO or travel agent for assistance. Want to immerse yourself fully into the culture of Chengdu? Pre-book both the Chengdu City Culture tour on the checkout page to include this optional activity on your tour or ask your GCO or travel agent for assistance. Enjoy time in Luoyang located in central China’s Henan province, widely recognized as the region where Chinese civilization originated. The city was China's ancient capital and is home to many Temples, and close by the Longmen Grottoes which contain thousands of Buddhist rock carvings dating back to the 5th century. Accommodation: Hotel (7 nts), guesthouse (standard twin/single) (2 nts), sleeper trains (3 nts).